A banging vinyl with good dark melodies and kicks that beat up. This explosive 200RPM Versus with neuro dark drum'n'bass sounds give the best of our two artists! A ragga sample in the break for a heavyer drop! This second hardtek track which rotates at 190 RPM is a mixture of oriental hypnotik melody and hip hop . Massive! The dark side of this 195RPM hypnotic track will seduce with it's piano melodies and intoxicating opera voice! A Fat beat with an unhealthy melody straight out of a cemetery, noises in all directions, 100% Guigoo! 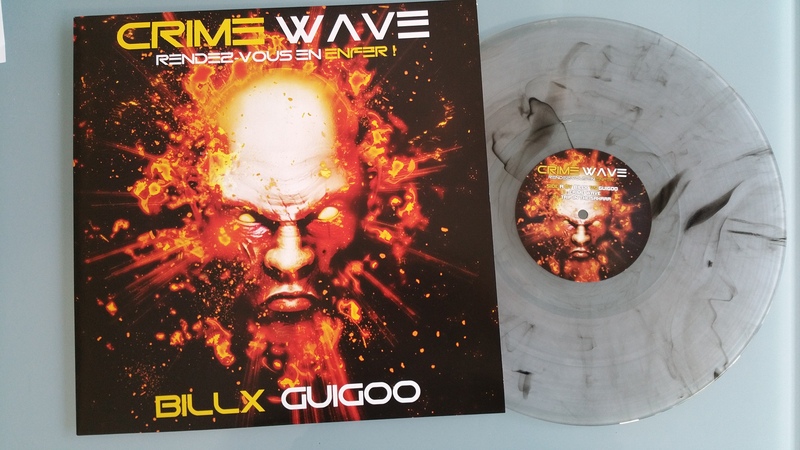 A colored marbled vinyl with a beautiful cover, Don't miss it!